Joining the Armed Forces is the dream of several aspirants. It is not just a job, it is a way of life. The Indian Armed Forces give several opportunities to the aspirants to join them. All the entries and opportunities are served to the young aspirants, except Territorial Army, which gives the opportunity to aspirants to join it till the age of 42 years. The Best Way To Serve The Nation – All private jobs give an indirect opportunity to serve the nation. But the Armed Forces give the direct opportunity to serve the nation and T.A. is better then other private job to serve the nation in the direct way. 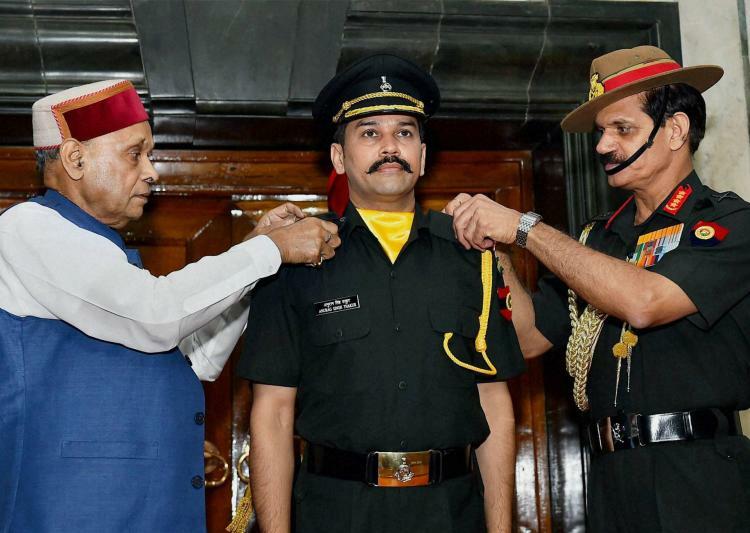 A Best Way To Make Your Dream Come True – All Armed Forces aspirants, who were not able to join the Indian Army in their young age, can join T.A. and make their dream come true. It will be like resuming and joining the ambition. Better Than Other Private Jobs – Territorial Army provides all facilities, pays and perks given to a normal officer, which are better than other private jobs. The lifestyle that you will get here is incomparable and unexpected. Gives You Time To Handle Your Personal Jobs – Territorial Army provides you time to handle your personal business apart from serving in Indian Army. You have to serve the duty and will also get some time to handle your personal jobs after serving certain time in military. Expanded Range Of Eligibility Age – It also gives the expanded age eligibility for its aspirants. The eligibility age ends in 42 years. This is also a merit of this entry and makes it favorable for many aspirants. Easy Exam – The exam is not too tough. But still serious efforts are required to prepare and crack the competition. The cut-off is pre-decided and candidate are required to chase it to clear the exam. Ensures Better Health Than Other Private Jobs – The training and tough life in serving the Armed Forces keep the body and mind, fit and healthy. Other private jobs are prone to the health and fitness issues. Adventure And Thrill At Every Step – Desk jobs rarely gives chance to expand your experience and living an adventurous life. But T.A. gives the best opportunity to come over the regular desk jobs and live the adventurous and thrilled life. Ensures Job – Territorial Army gives you the privilege of job insurance as well as life insurance cover to support your family, which have to be approached separately in private jobs. It Is More Than A Job – The diversity of tasks, commanding opportunity, handling weapons, leading your men, level of responsibility, disciplined life style, honor and pride that you get here, cannot be found anywhere else. That makes it best over private jobs. Conclusion – Territorial Army gives opportunity to the aspirants who have started their career in their respective fields, but still want to join Army. The entry has stringent and limited selection rate, but still a huge crowd gathers for appearing in the exam with zeal. Candidates must apply for it and be a part of this elite organization and serve the nation.